His first introduction to HEMA was at home in Cork with some re-enactment friends who taught him some basics. 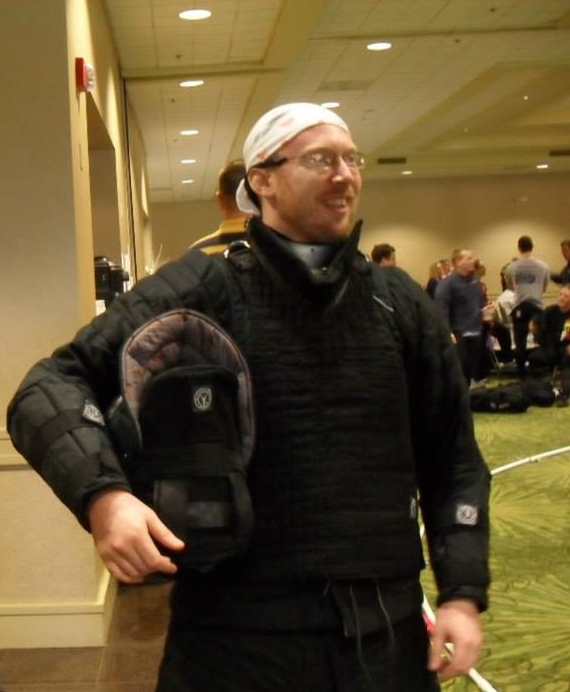 After forgetting about it while living in Japan, he stumbled upon videos of Swordfish and from there other people doing HEMA-related training. Since then Keith has been training as best he can primarily in Longsword. He also studies military and dueling sabre, rapier, dagger and sword and buckler to varying degrees. He is the head instructor for the Atlanta Freifechter group. They primarily study the works of Joachim Meyer, with other late 16th century sources for additional material, for their weapon training. The main source for Ringen is the wonderful book by Fabian Von Auerswald.